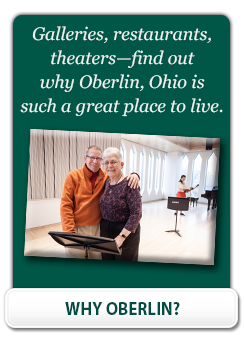 Kendal at Oberlin launched a new Master Plan in 2013. It includes the renovation of our classic cottages, originally built in 1993, as well as community center enhancements. For a printable PDF document showing all floor plans for renovated classic cottages, download our Floor Plan Document. How will my stuff fit in my new space? Get the answer in this Do’s and Don’ts of Downsizing Guide! Newer cottages were added to the campus between 2006 and 2012. These spaces are larger than our classic cottages and include features like walk-in closets, utility rooms and higher ceilings. Many of these cottages also have a 3-season enclosed patio addition. Apartments at Kendal at Oberlin are conveniently located within the Heiser Community building, close to restaurants and programs offered in the Community center. Recent updates to apartments include improved lighting, upgraded kitchens and in-suite washer/dryer. For more information, or to arrange a visit to see these living spaces, complete the form below, or call the admissions office at 1-800-548-9469.